With most applications now coming from online sources such as job boards, social media and career sites it's never been more important to have the right digital technology to support your business hiring. However, identifying the solution that best fits our business can be a challenge. The majority of ATS solutions now come with a long list of feature that in most cases, we just don't need! With all software providers claiming to be market leaders with the latest technology how do you identify the right solution for your business? To help with your focus we've put together the top 5 core features your ATS needs to have to be successful. Once considered an exclusive tool to the corporate colossus the ATS is now a widely used recruitment tool by companies of all sizes. According to research conducted by Talentsuqare 60% of medium-sized businesses now use an ATS. Whatever your companies size or industry you operate in an Applicant Tracking System can be of huge benefit. 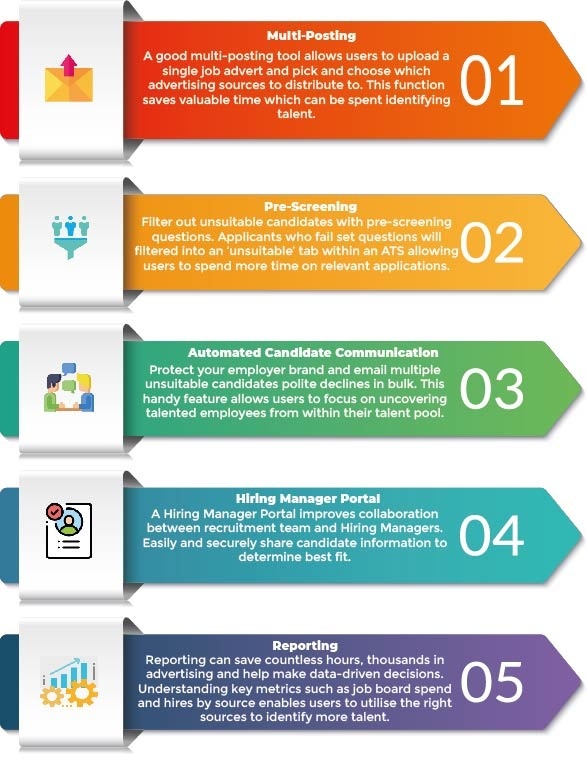 With the ability to quickly advertise roles, manage applicants centrally and track applicants from applied to hired, ATS' are proven to save users time and businesses money. In fact, 94% of ATS users say that their ATS has improved their recruitment process according to leading software comparator, Capterra. Want some more software advice? Were here to help! At Talentvine we pride ourselves on helping people (like you!). Our team of experts have supported thousands of UK businesses from (start-up to FTSE listed) to achieve their recruitment goals. For some free advice simply send us a message today. 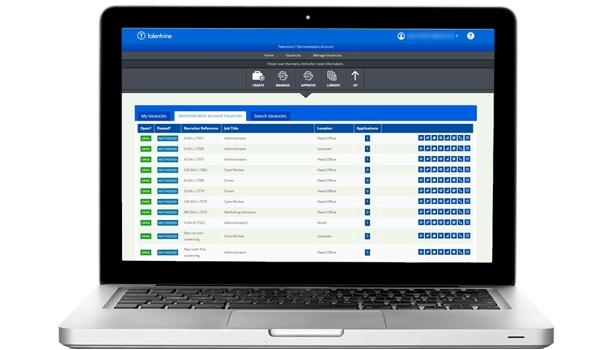 User friendly, intelligent recruitment software.